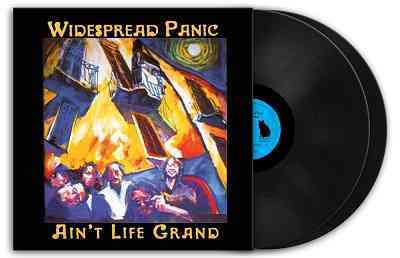 Ain't Life Grand is the fourth studio album from Panic. It was first released by Capricorn Records and Warner Bros. Records on September 6,1994 and like Everyday, was never released on vinyl. The band got minor airplay for their cover of Bloodkin's "Can't Get High," as well as their own "Airplane." The band begun rehearsing for the album by recording pre-recording sessions at John Keane's home studio like their first album, Space Wrangler. They were so pleased with the results that they decided to use the sessions for Ain't Life Grand instead of going into the studio ona future date with their producer Johnny Sandlin. This vinyl release is a 2 record set.